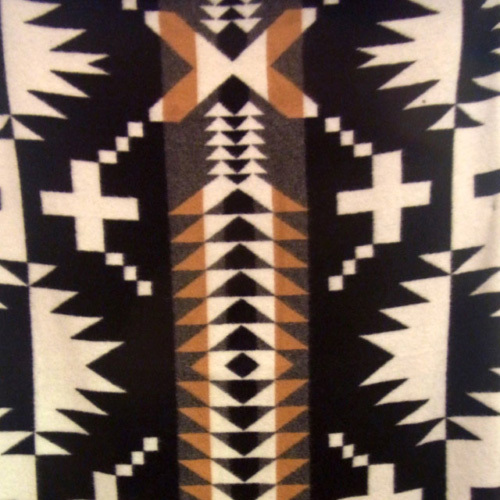 This design is inspired by the monumental Spider Rock located in Canyon de Chelley, a sacred place to both the Navajo and Hopi Nations. This Spider Rock Pendleton Jacquard throw is just the right size for napping, reading or simply admiring. Toss one over a sofa or chair, or fold one at the foot of the guest bed. 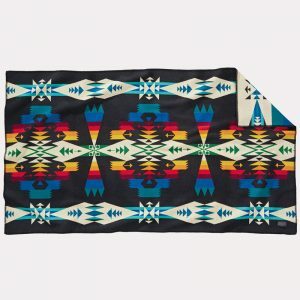 The intricate, Native American-inspired designs are sure to be conversation starters wherever they land. They all are woven in our Northwest mills. Napped and felt bound. 82% wool/18% cotton. Dry clean. Made in the USA. 54 ̋ x 72 ̋ (137 x 183 cm). 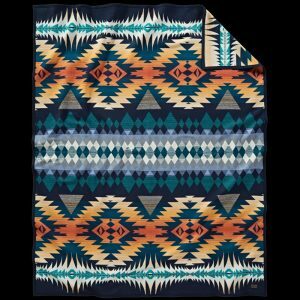 Spider Rock Pendleton jacquard throw. Pendleton Woollen Mills weave the symbols and stories of Native America into fabulous limited edition woollen masterpieces. 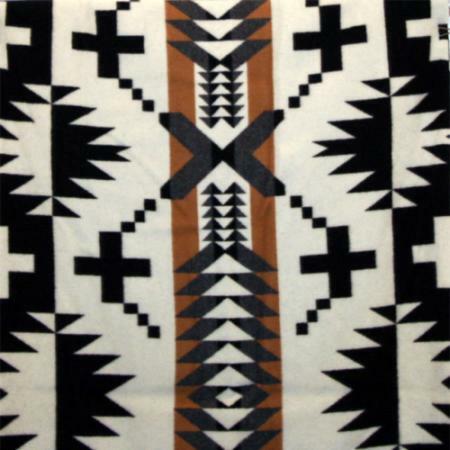 These blankets, ‘robes’ and shawls have become traditional honouring gifts for Native Peoples. 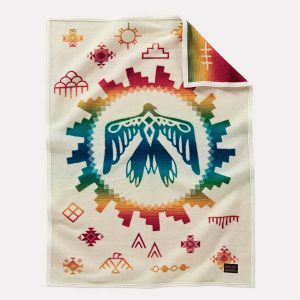 Rights of passage such as births, coming of age, graduation, marriage, major milestones and accomplishments are all marked with the giving of a blanket. Not only are ‘Pendletons’ used daily in the home but they are also worn for ceremonies, celebrations and feast days.